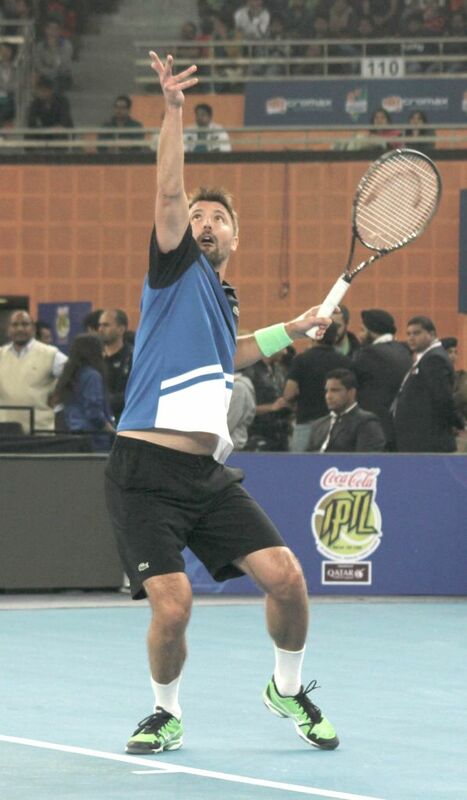 New Delhi: Goran Ivanisevic of UAE Royals in action against Mark Philippoussis of Manila Mavericks during an IPTL men's singles match at Indira Gandhi Indoor Arena in New Delhi, on Dec 7, 2014. Philippoussis won. Score: 6-3. 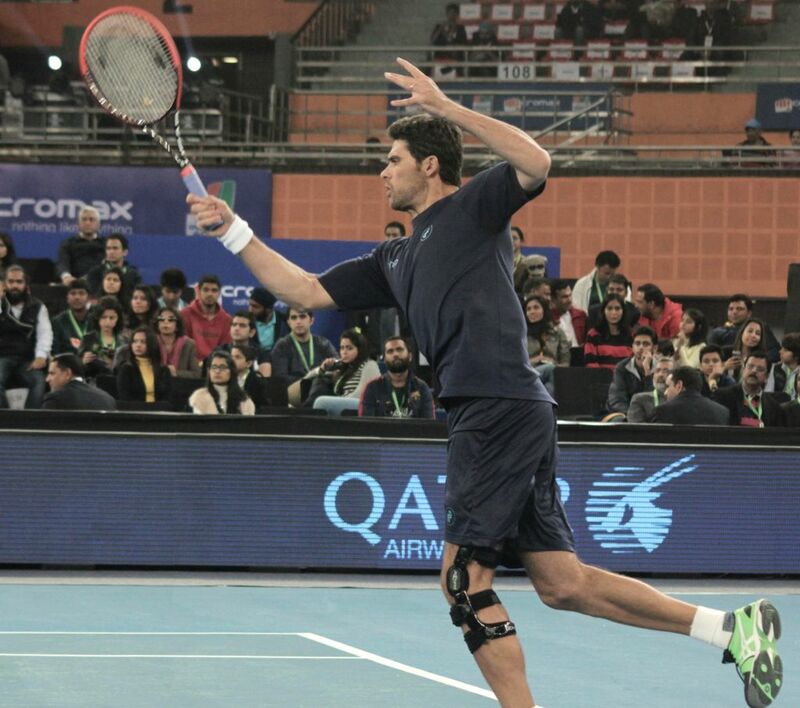 Mark Philippoussis of Manila Mavericks in action against Goran Ivanisevic of UAE Royals during an IPTL men's singles match at Indira Gandhi Indoor Arena in New Delhi, on Dec 7, 2014. Philippoussis won. Score: 6-3.